How are you all doing? What have you all been up to since Monday? It’s commission land here, been a bit obsessed trying to finish something off but I did spend a little time playing with some acrylic inks and my ZIG Writer pen. I meant to show it to you last week for a bit of colourful fun but I’ve just been totally focussed on this commission. I thought I would link it up to the lovely Julia’s What’s On Your Workdesk Wednesday (WOYWW) 136. My first of the year! Lots of exciting things will be happening at Art from the Heart next weekend. To find out more about all the celebratory events then pop on over to Dy Reaveley’s Blog Art and Soul. In the meantime there are FIVE product themed Blog Hops for you to while away the time with in preparation for the big event! 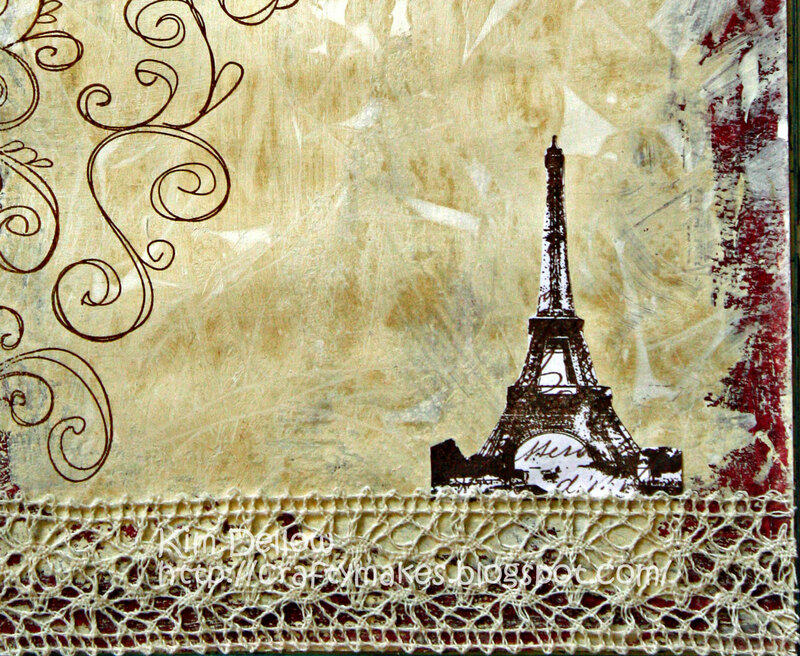 If you have hopped to my blog from GezzyB’s Jots then you are on the right path for the Stampotique Team’s blog hop. If not then pop back to Dy’s blog to start. I called the book ‘Threads of Ideas’. 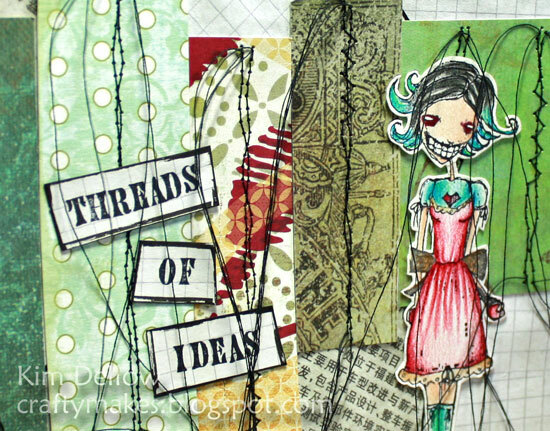 The idea being that it is a book to capture all those ideas before they unravel! and you can find out all the details over at Dy’s blog which is your next port of call after leaving me a comment of course LOL! 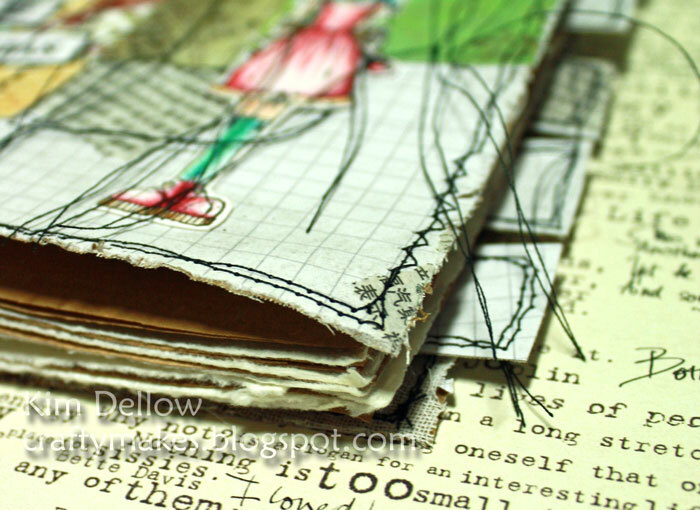 Been getting all messy again and I thought – time for a Journal page! As you do! After my sketching and colouring with Kuretake pens for my Blossom page I just wanted to do more journaling with Kuretake pens but this time I thought I would try some photograph altering and writing. 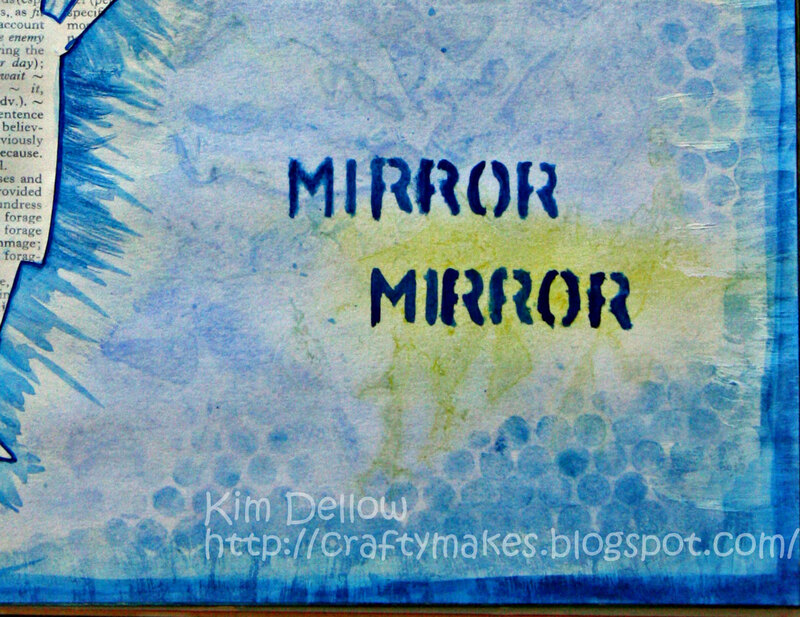 I added texture to the background with some tea staining, and scraps of paper and card. The writing and doodle lines are done with the ZIG Opaque Writer pens – which are just perfect for journaling. I might have made up a few words as well! The photograph was great fun to alter with some scratching and ZIG Photo Twin Pens. It was also great fun trying not to get paint all over my camera when I took the picture of my hand! Eeek! Have a lovely messy day. 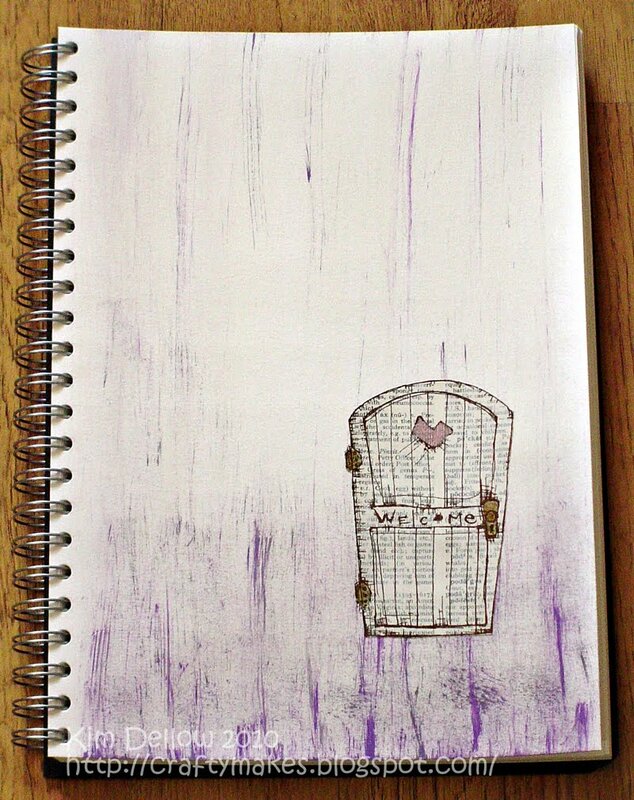 I haven’t completed a journal page for ages, I’ve been making lots of backgrounds but not finishing the actual page so I decided to be brave and use up one of my backgrounds. Here is a page I’ve had in my head for a while now, probably from the first time I saw this stamp! 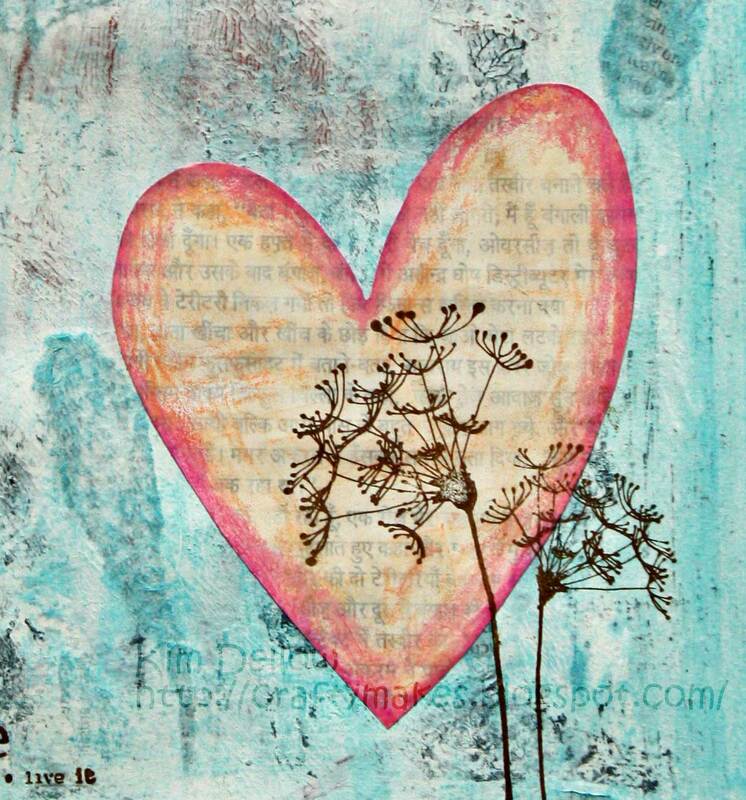 The stamp is Suzi Blu Love Yourself and is available from Make The Day Special. I’ve stamped her onto a gesso treated book page and coloured her with ZIG Art and Graphic Twin Pens using the brush tip to give the feathering texture to her dress. 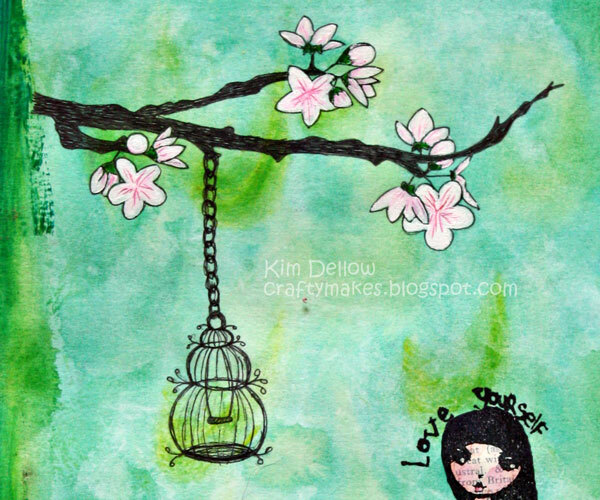 I drew my cherry blossom branch and bird cage but if you don’t feel like drawing yours then check out the My Cute Stamps section in Make The Day Special! 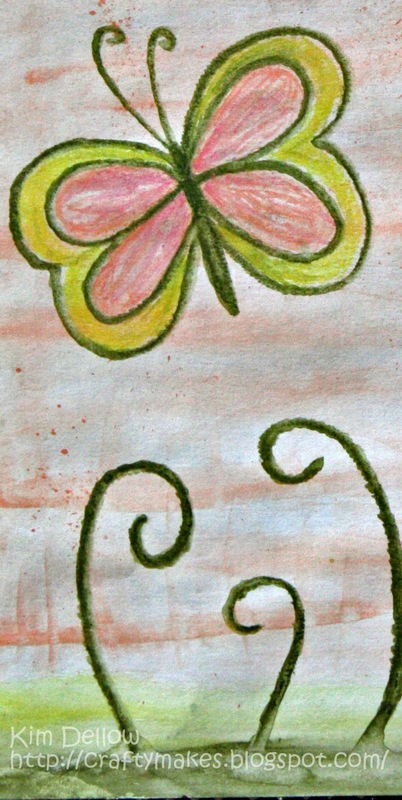 I used the ZIG Millennium pens to draw and coloured the blossom with acrylic paint and ZIG Art and Graphic Twin pens. The background was made using watercolour techniques with acrylic paints. I’m not entirely sure she is finished, I kinda would like to put some Japanese calligraphy on the page but seeing as I don’t know any it might take a while before I finish this one! 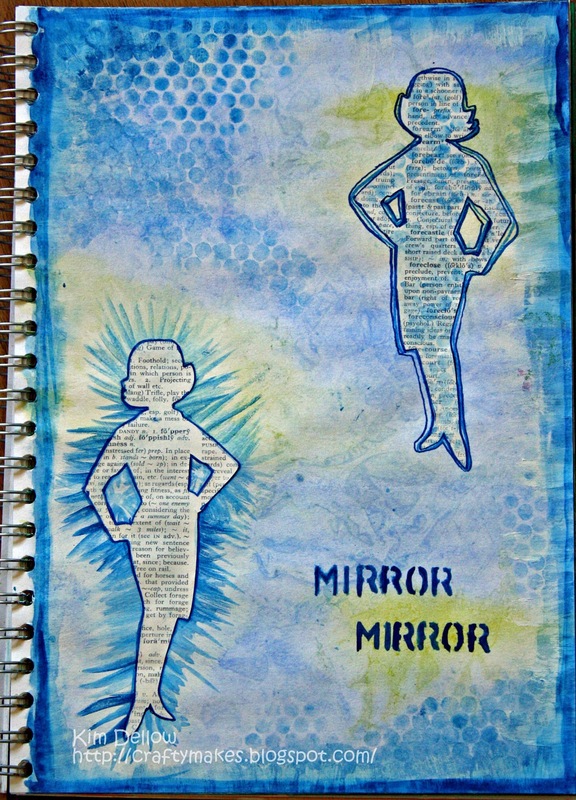 It’s journal page Monday and I have a page I made a few weeks ago when I was going through a bit of a creative block. I think I might have said at the time that I was finding it hard to design and my blog was a little sparse as a consequence! I’m now on the other side of that creative block and planning to be here for a while more, she says hopefully! I don’t know about you but I do hate it when Mr Mojo goes on holiday but I am learning that you have to just go with it and not beat yourself up. 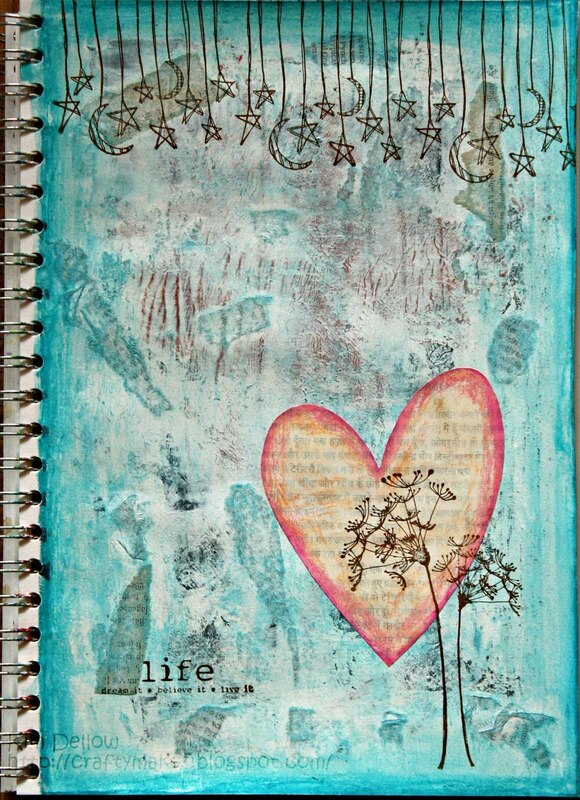 For me playing with paint in my journal really helps those creative lull moments because there is no pressure to produce the perfect item, it is just a place to play with no fear. 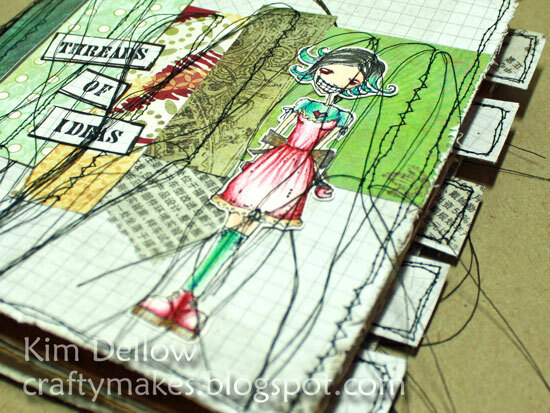 Total Art Journaling convert me! Can you tell? By the way the butterfly is from the Unity Life Becoming Store kit, in case you were wondering! 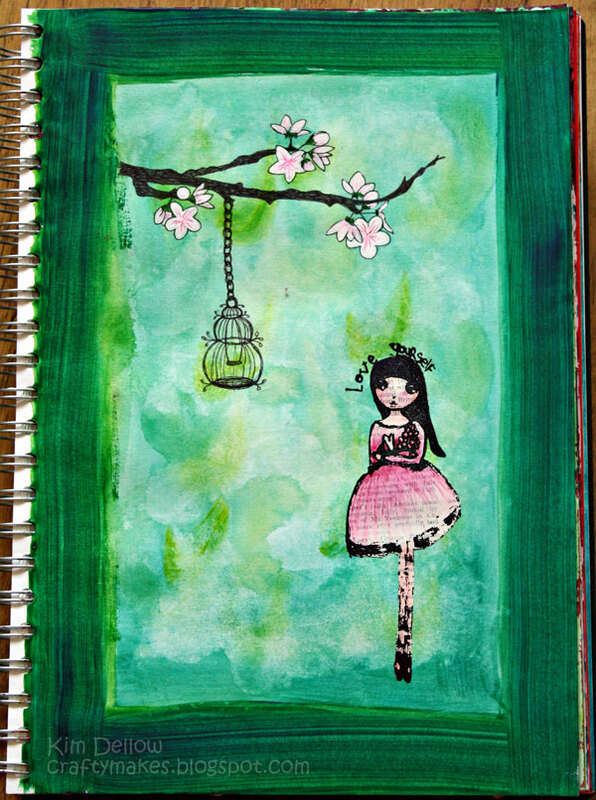 Have a fabulous journal page Monday. You are all so lovely, the words of encouragement after my Monday post have been so heartening, thank you all so much. Well the week has been a very good one with some good news for the family and a little less worry. So I have my fingers crossed and keeping a positive outlook in hope that the good news keeps on coming for everyone and that your week has been good too! I have another piece of news but I’m not sure if I’m allowed to share it yet so we will just have to wait a little bit longer. I’m totally itching to tell! LOL! 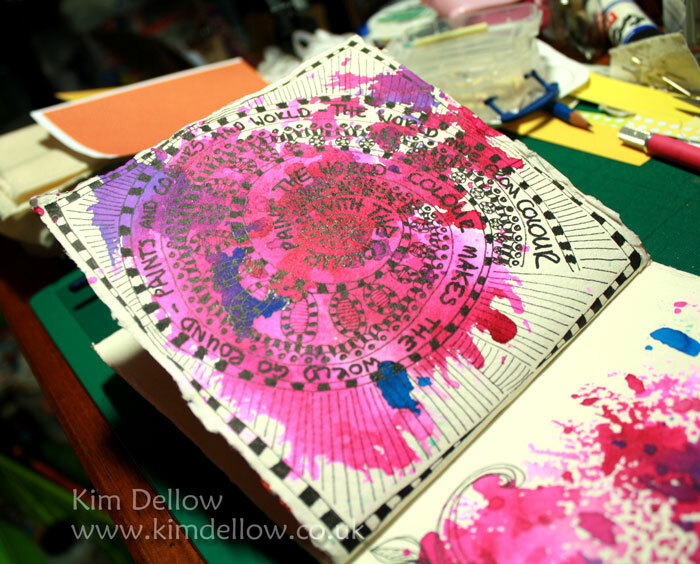 On to my piece for today and it is a journal page using watercolours, marker pens, book pages and a bit of sequin waste. 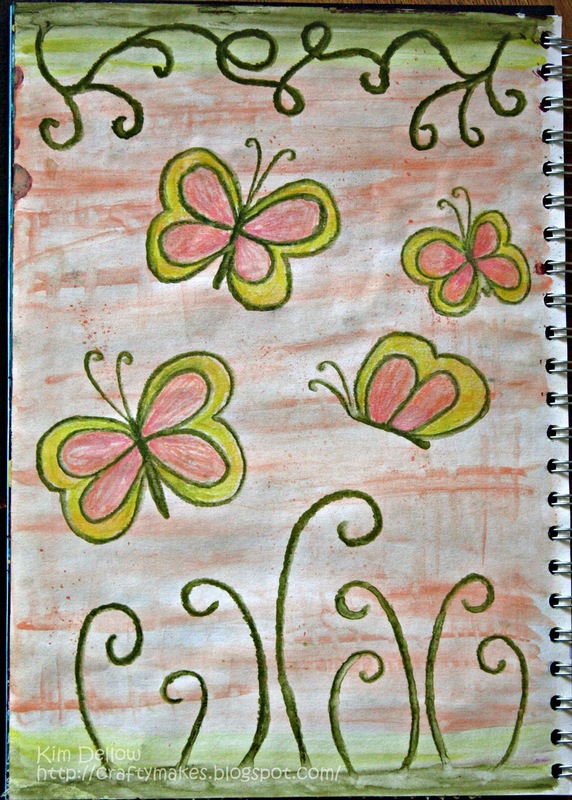 Another journal page today and this one is full of doodle butterflies. The page was all done with Neocolor wax crayons, just my favourite watercolours at the moment. Hey Guys, I’ve been playing in my art journal with paints, stamps and inks and thought I would give you a peak at how it turned out. I know, I know it isn’t a card but I just can’t help myself – LOL! 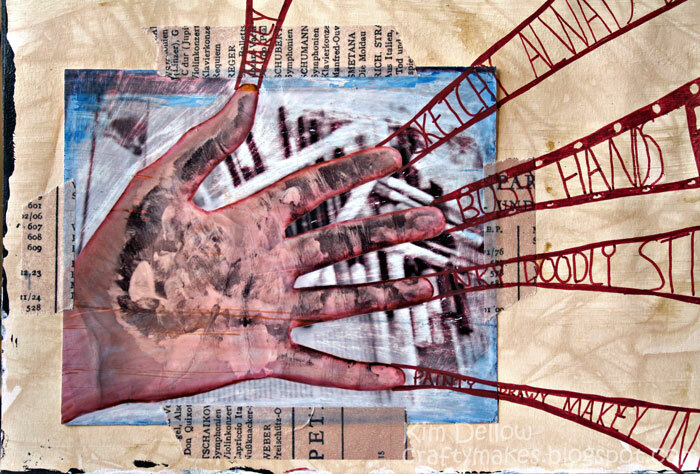 I built up some textures with layers of paint, bits of newspaper and book pages. Then added the top colour with my Neocolor watercolour crayons. The stamps I used were the Stars and moons from the Ippity Moon Beams and Heart Strings kit, the sentiment from the Ippity What Matters Most kit and the grass is from the Unity Insightful Meadows kit. Yum, love these stamps! Thanks for popping by and viewing my playing! 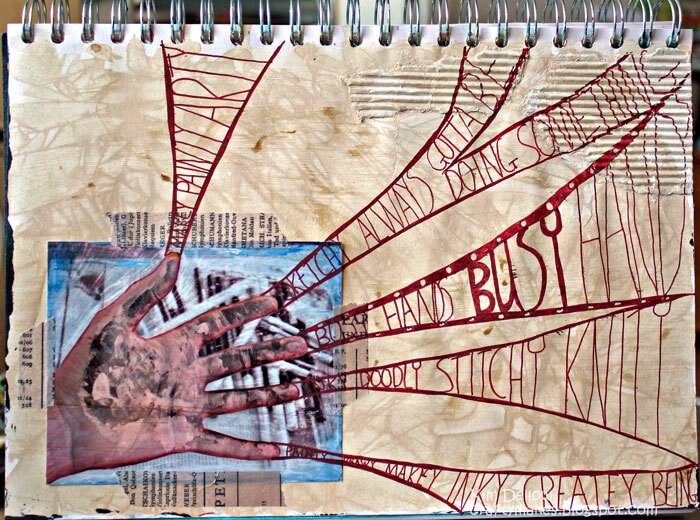 Another page from my art journal to show you this weekend. 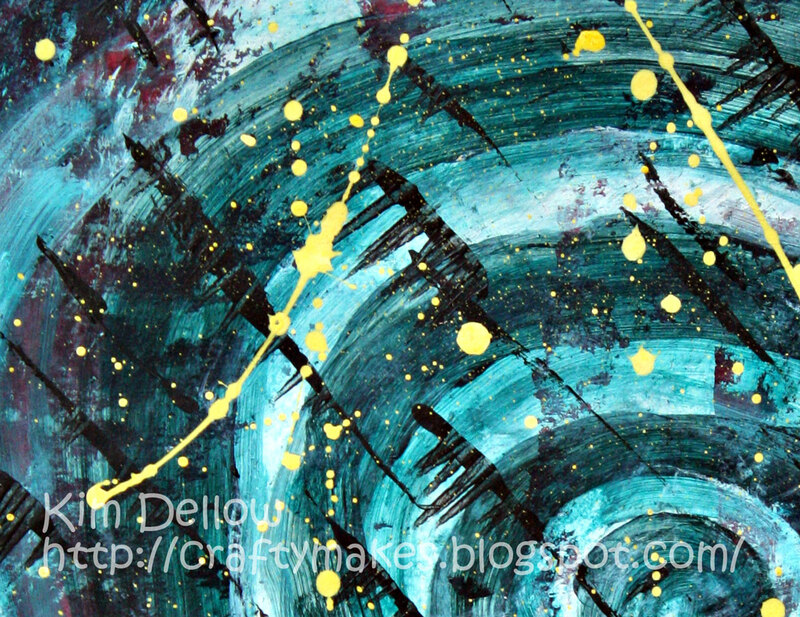 I think I’m calling this one ‘In A Spin’ or maybe ‘Maelstrom’. It was great fun getting messy with this one, lots of paint, making swirls, making marks and generally throwing it around the place – including, as I found out later, the walls in the kitchen. Well we needed to decorate. Tee Hee! 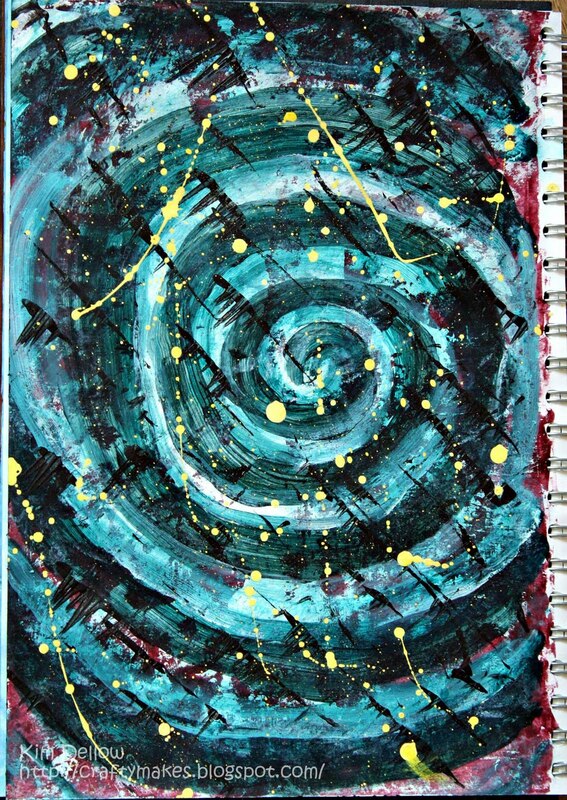 I’ve been dropping subtle hints here on my blog over the last week or so that I might subject you all to my playing with paint and art journal pages. 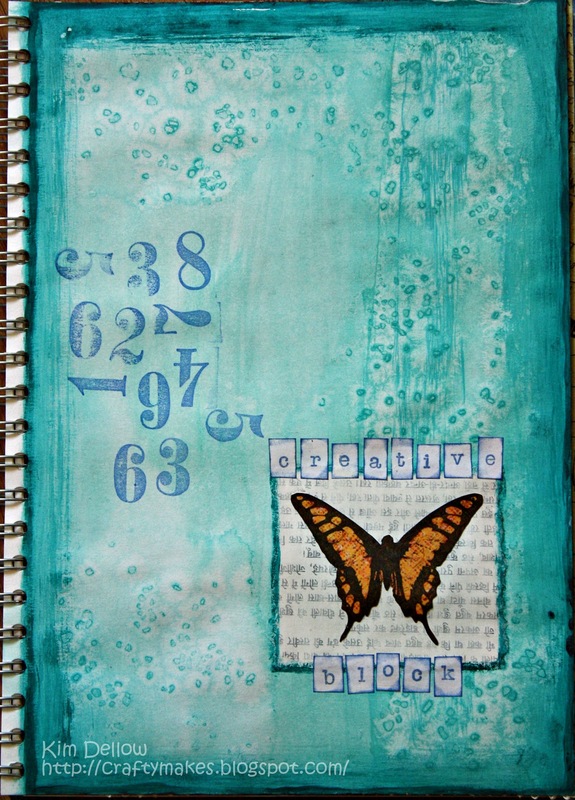 Well today is your lucky day got a mixed media journal page to show you! I thought I would start with this piece as it directly inspired the recent mixed media gift box I posted not so long ago. 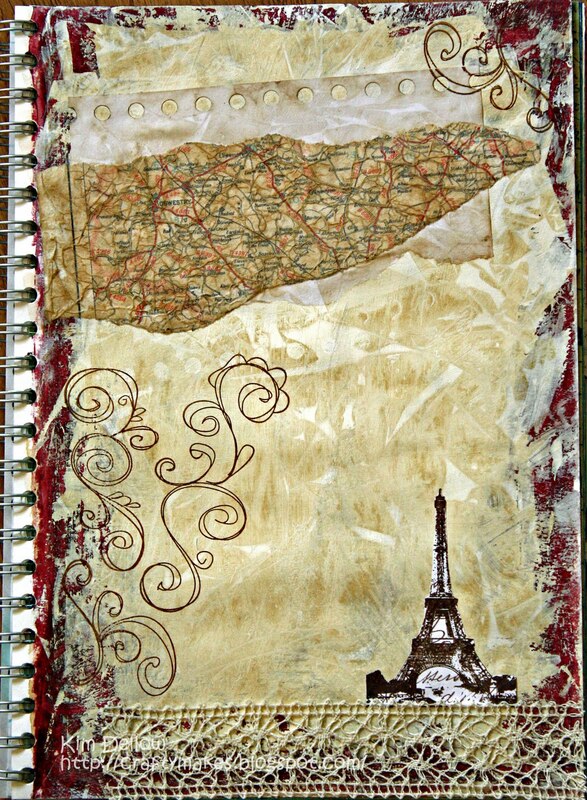 I would have called this piece ‘Paris’ except if you look closely at the map you will see it is actually an old UK road map, so perhaps I should call the piece ‘Travel’ or ‘Road Trip’ instead? Playing with paint is such fun, I’m not totally sure if this page is finished yet but that is the great thing about having an art journal it never has to be perfect and you can add to it any time you want! Have a fabulously painty day. Hurrah for the Bank Holiday Monday! We love our three day weekends. Got my Bank Holiday Monday make for you guys and this is a little different, I’m starting a paint sketch book for lots of experimenting and making a mess of. I did my first page on Friday and I thought I would share it with you guys. 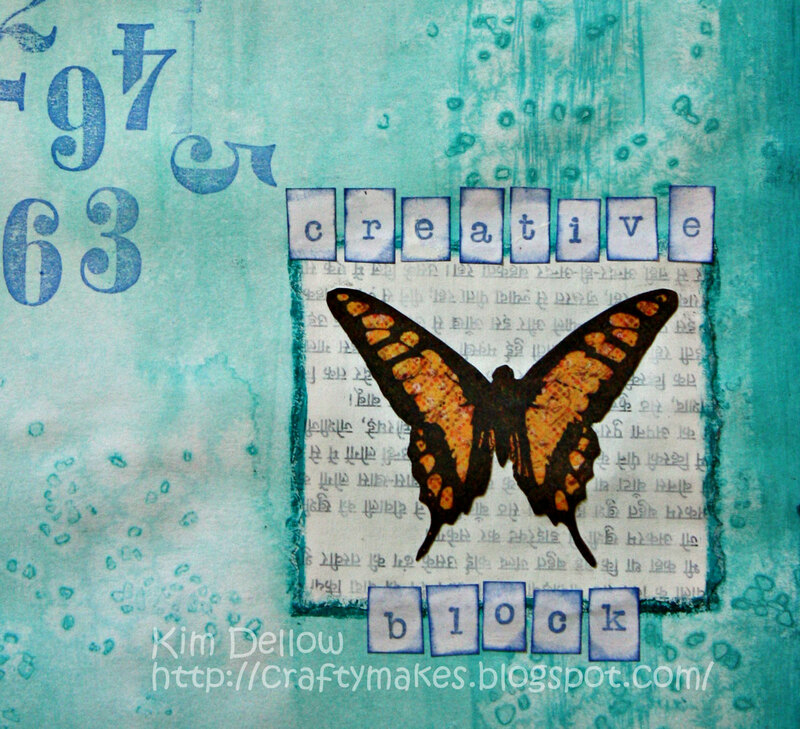 It also fits the challenge over at Stampotique Designer Challenges blog which this week is ‘Purple’ – bonus! What are you guys up to this Bank Holiday Monday? Ice cream? What Ice cream?